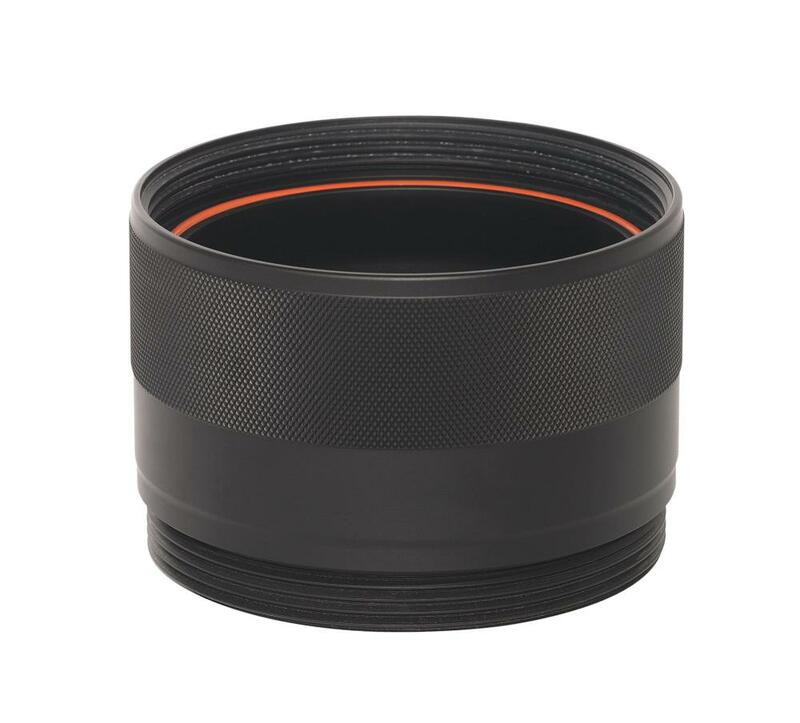 The AquaTech P-70 EX 70mm Extension Ring aids in the performance of certain dome-shaped underwater lens ports when paired with certain lenses. It also creates extra length for certain flat-faced ports when paired with certain lenses. Please refer to this chart to find out which lens ports are compatible with which extension rings. Please also refer to our Notes tab for important additional compatibility information. • This extension ring will only mount onto Elite or Delphin models of AquaTech underwater lens ports. If you have an older AquaTech lens port model, this extension ring is not compatible. Note also that not all ports and lens combinations need an extension ring and some require a 30mm ring. • Certain AquaTech underwater lens ports require the use of a 70mm extension ring. Here are the ports (rentable separately) that need this ring. This is not a comprehensive list. Please refer to this chart to find out which ports are compatible with which extension rings. • If you don't see your port type and lens combination on this list or the reference chart then you don't need to rent a 30mm extension ring. Be sure to also check the 30mm extension ring to be sure you don't need that one either. • Want to see all of our underwater and blimp housing offerings and compatibility all in one place? See our blog post for a gear summary to help you get started with the right items.